The rapid technological progress in automation, robotisation and artificial intelligence is raising fears, but also hopes, that in the future the nature of work will change significantly. There will be changes in what we do, how we form workplace relations, how we find work and the role of work in a society. Some believe that these changes will be for the better: we will need to work less and thus will have more free time. Others think that the changes will be for the worse: there will be fewer ways to earn a living. The central question of this paper is this: will adages such as ‘By the sweat of your brow you will eat your food’ and ‘No bees, no honey, no work, no money’ become obsolete? 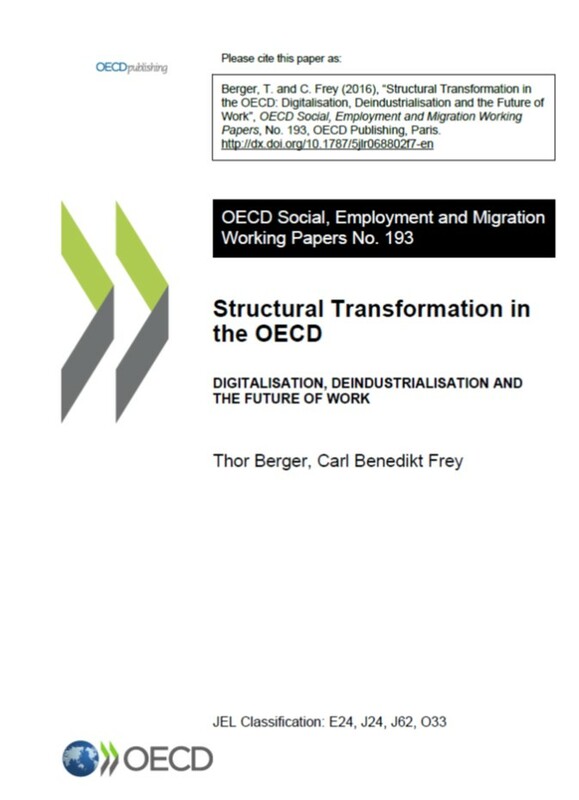 Will work disappear and with it the societal relations and inequalities that result from differing success in work? If this is going to happen, what policy options do we have to address the issue? Read more about The Future of Work: Robots Cooking Free Lunches? Automation is an idea that has inspired science fiction writers and futurologists for more than a century. Today it is no longer fiction, as companies increasingly use robots on production lines or algorithms to optimize their logistics, manage inventory, and carry out other core business functions. Technological advances are creating a new automation age in which ever-smarter and more flexible machines will be deployed on an ever-larger scale in the workplace. In reality, the process of automating tasks done by humans has been under way for centuries. What has perhaps changed is the pace and scope of what can be automated. It is a prospect that raises more questions than it answers. How will automation transform the workplace? What will be the implications for employment? And what is likely to be its impact both on productivity in the global economy and on employment? The Future and Emerging Technologies (FET) Advisory Group has produced a report which proposes to put FET at the nucleus of the European Innovation Council. The FET Advisory Group has been set up at the beginning of H2020 with the mandate to give advice to the Commission regarding the objectives and the scientific and innovation priorities of Future and Emerging Technologies. As a result of discussions extending over more than a year, the group has now produced the report "The future of FET: a possible nucleus for the European Innovation Council", which proposes to put FET at the nucleus of the European Innovation Council.